Like all Mainstream Pokemon Games, there are a number of Pokemon you can receive as gifts throughout your journey in this game as well. One of the eighth Gift Pokemon you will have the chance to obtain is none other than Hitmonchan. 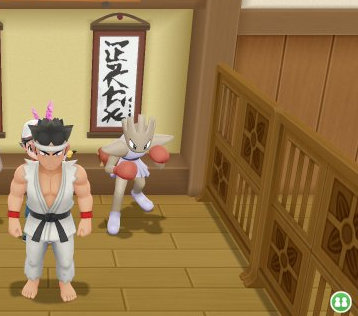 Within Saffron City is the Fighting Dojo, and after defeating all the trainers within it, you will be given the option to have either a Hitmonlee or Hitmonchan as your prize for doing so.